Sleight of hand? 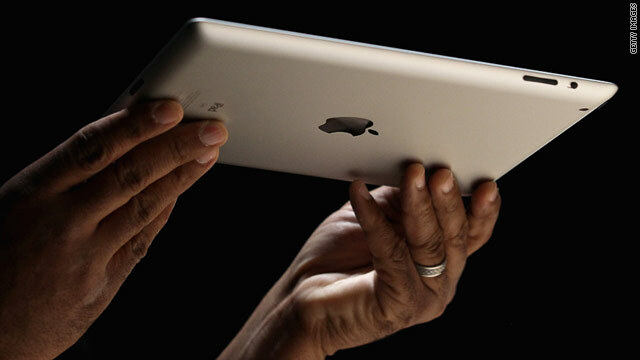 Many features announced for the iPad 2 were expected -- and technically possible -- in the iPad 1. Editor's note: Chris Taylor is the San Francisco bureau chief for Mashable.com. (CNN) -- It was a magical performance from a consummate performer, on that we can all agree. Speaking for a little more than an hour, in a voice that has lost little of its calm intensity, Steve Jobs mesmerized the audience Wednesday at the Yerba Buena Center for the Arts in San Francisco, and by extension the world. His introduction of the iPad 2 did quadruple duty -- it enticed mainstream customers, wowed spec-hunting tech geeks, tweaked his competitors and pleased Wall Street. Future presidential candidates would do well to study it. Essentially, Jobs was selling a dream that could set your rib cage thumping with desire. "Technology alone is not enough," he said in one of the day's more lyrical asides. "Technology married with liberal arts, humanities, yields the result that makes our hearts sing." Full disclosure: Yeah, I want to buy one, too. Do you think you'll buy the new iPad? Tell us why. But a dream-made reality comes with limitations and imperfections, especially in the gadget business. Like any good magician, Jobs used sleight of hand to distract from the things we're not supposed to see. On the morning after, it's time to take leave of our hearts, return to our heads and name them. Magicians who use wires in their act don't let you see them, but that doesn't mean they aren't there. In this case, the wire is the same old white cable that you'll have to use to sync your iPad to your PC or Mac from Day One. Technology married with liberal arts, humanities, yields the result that makes our hearts sing. Yes, apps such as Audiogalaxy or Air Server let you stream music and video to the iPad via Wi-Fi, but they don't remove the need to hook up to iTunes to back up or sync content for most apps. In a device that's supposed to be about effortless connecting, and a world that is moving to cloud syncing, this is an increasingly clunky throwback. How much memory will the new iPad have? We don't know, because Jobs didn't tell us. Given that he ticked off all the other major specs of the device, it seems an odd omission. Could it be because its memory is exactly the same as the original iPad -- 256 megabytes? That would look embarrassingly paltry next to iPad competitors such as the Motorola Xoom or the HP Touchpad, which both boast 1 gigabyte of RAM. Gadget blog Gizmodo claims an Apple employee quoted 256 megabytes when demonstrating the product, only to have the claim walked back by a PR handler. We'll wait for better proof. But there is another kind of memory that we know is exactly the same on iPad 2: storage space. The Apple tablet still maxes out at 64 gigabytes. Sure, the competition isn't beating that yet. But given the standard pace of technological improvement, one would expect a 128-gigabyte hard drive by now. Could tablet design have reached some kind of inherent size limit? And while Jobs told us how many frames per second of video the new iPad's cameras would shoot, he didn't mention megapixels. This is not a spec he has been shy about announcing when it came to iPhone models. In all the hoopla, it's easy to forget that many features announced for iPad 2 were expected -- and were technically possible -- in iPad 1. It was widely remarked at the time that Apple was deliberately holding back built-in cameras, for one, so that the iPad 2 could launch with a larger splash. Barring some mass outbreak of leaks at the notoriously tight ship that is One Infinite Loop, we'll likely never know the truth. But we do know that one "new" feature touted Wednesday -- the ability to use the mute button to lock the orientation of the screen -- was originally available in iPad 1. The button only changed its purpose when iOS4 was introduced. One thing we can be pretty sure of -- there will be another peerless presentation of achingly beautiful tablet technology this time next year. 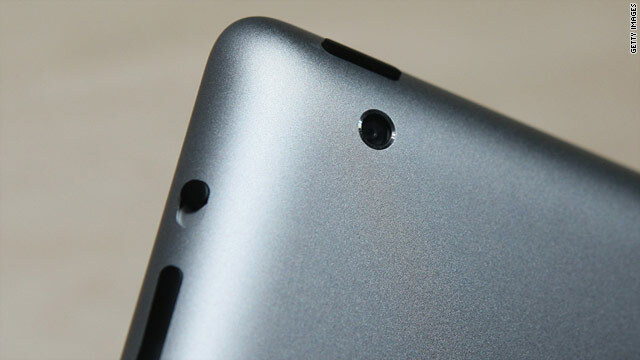 Just how bad is the iPad 2 camera? Both cameras in the iPad 2 are about as rudimentary as you could get without having to load a roll of film in there. (WIRED) -- It seems impossible for Apple to put a decent camera into anything but the iPhone, and despite many hopes, both cameras in the iPad 2 are about as rudimentary as you could get without having to load a roll of film in there. In fact, the iPad 2's camera has more in common with the low-res camera in the iPod Touch than it does to the rather excellent one in the iPhone 4. The specs for the iPad's rear-facing camera only lists one number: 720p. That should mean 1280 x 720 pixels, which gives a megapixel figure of 0.92, clearly useless for stills. However, flip over to the iPod Touch camera specs and we see the following: "HD (720p) up to 30 frames per second with audio; still photos (960 x 720) with back camera." Yes, the Touch shoots stills at an even lower resolution than video, most likely because the wide-screen movie format is squared-off to shoot stills. The stills it produces are just shy of 0.7 megapixels, or about the same resolution as an early 1990s-era digital camera. It's extremely likely that the iPad 2 and the iPod Touch share the exact same camera (although we won't know for sure until iFixit tears one open to see). It seems that it will be fine for movies, and bad for photos. Then again, with the camera connection kit you can always just import images from a real camera. And for taking notes, snapping menus or grabbing pictures before grunging them up and sending them off to Instagram, it'll do the trick.